Banffshire and Buchan Coast MSP Stewart Stevenson has congratulated Fraserburgh RFC after they were awarded a four-figure sum and a chance to meet a number of famous rugby players. The Aberdeenshire club will receive their prizes ahead of RugbyForce Weekend in August when a number of pre-season events are held to raise awareness of participating clubs within local areas. Fraserburgh RFC has been recognised as a ‘star club’ and will be awarded a £1,000 cash prize as well as branded merchandise and a visit from a current Scottish International player. The club has said it will be putting its cash prize towards a club DIY day. More than 130 clubs applied for Royal Bank RugbyForce support this year and an official panel of judges picked winners based on plans put forward for fundraising. “I would like to congratulate Fraserburgh RFC for their hard work which has led to this award. It is clear they have an enthusiasm, commitment and passion for rugby. Scotland is “at the forefront of the low carbon transition” in the UK, SNP MSP Stewart Stevenson has said today as the Committee on Climate Change’s progress report confirmed Scotland’s progress on emissions reduction was the best in the UK. 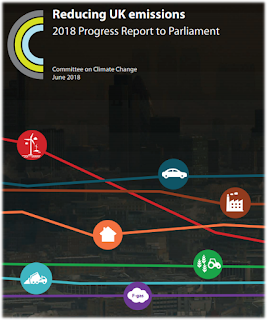 The ‘Reducing UK emissions 2018 Progress Report to Parliament’ published today shows that Scottish emissions decreased by 11% in 2016, and by an average of 5% a year between 2009 and 2016. The report also confirmed that Scotland's share of the UK’s total emissions is 2% lower than Wales, and it has a lower share of emissions than its share of population. This news comes the same day the Scottish Government’s data shows that renewable electricity generation in Scotland increased by 11% in the first quarter of 2018 compared to the same quarter last year, with installed renewable electricity capacity also increasing by 11% over the same period. In 2017, just under 70% of Scotland’s electricity consumption came from renewables – up 15% from the previous year. “This report shows that Scotland has the best record on long-term emissions reductions in the UK, and is at the forefront of the low carbon transition. “Our emissions have almost halved since 1990, we are exceeding the current 2020 target, and in the EU-15, only Sweden has done better. “Our new Climate Change Bill is the next step in Scotland’s transition – responding to the Paris Agreement with increased ambition to achieve net zero carbon emissions by 2050. “And this ambition will continue to be matched by realistic action – including putting in place low emission zones in four Scottish cities by 2020, with the SNP administration in Glasgow leading the way approving the first low emission zone. “This report confirms that Scotland contributes 25% of the UK’s renewable energy output - and with as much as a quarter of Europe's offshore wind and tidal energy potential and an estimated 10% of its wave power capacity - Scotland is well placed to become the continent's green energy powerhouse. Celebrations to mark the 25th anniversary of a traditional boat festival have been welcomed in parliament a North-East MSP. Banffshire and Buchan Coast MSP Stewart Stevenson has put forward a motion welcoming the quarter of a century anniversary. 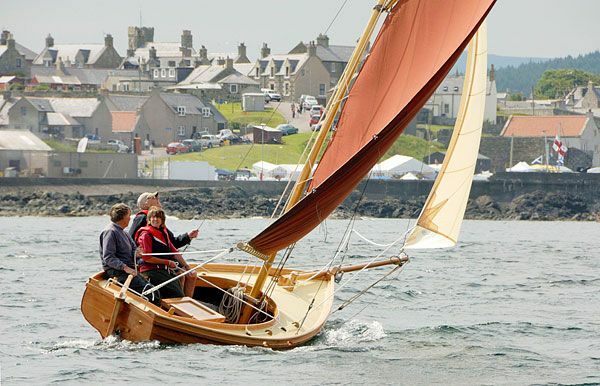 The annual event will be held on June 30th and July 1st and offer an array of sailing events displaying historic, traditional and modern craft. Mr Stevenson said in his motion that the event “aims to bring families and the community together” as well as providing opportunity including for local artists and food producers. “The Portsoy Traditional Boat Festival has become an event that people attend from all over Scotland. “It offers the chance for local performers, artists and food producers to highlight their talents. “Traditional events like this help to promote Scottish culture both regionally and across the globe. 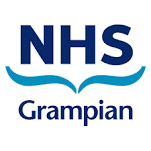 Banffshire and Buchan Coast MSP Stewart Stevenson has welcomed a salary boost for more than 13,000 NHS staff in NHS Grampian. More than 148,000 NHS Scotland staff will be offered a minimum 9% pay rise over the next three years. The amount is the highest NHS pay uplift being offered in the whole of the UK. It comes after the First Minister’s announcement that the NHS Agenda for Change employees would receive a 3% pay increase in next month’s pay packet and backdated to the beginning of the year. Relative to staff in England, NHS Scotland nurses, midwives, allied health professionals and paramedics, amongst others, will receive minimum cumulative uplift of 9% and those earning £80,000 and over will receive a flat rate increase of £1,600 a year. The changes will be agreed between NHS employers, unions and the Scottish Government by the end of the year. “This is an important SNP Government investment in the many NHS staff who care for us day in day out in NHS Grampian. “Currently, Advanced Nurse Practitioners in Scotland are getting paid £430 more a year than those in England, and if they secured a job with a band 7 salary last year, they’d see their salary grow by over £8,800 over the next three years. “Not only is the SNP Government bringing NHS Scotland staffing to historically high levels – we are making sure that our healthcare professionals are getting the best pay deal in the whole of the UK and making our NHS a more attractive place to work. Banffshire and Buchan Coast MSP Stewart Stevenson has backed calls from Centrica to update outdated energy systems. It comes as Centrica Business Solutions revealed new figures which show the NHS across Scotland could save at least £19million per year. The data was released to mark NHS Sustainable Health and Care Week and form part of a larger report examining the potential impact of distributed energy solutions on job creation, economic growth and productivity. “Transforming buildings to be warmer, greener and more efficient offers substantial economic, social and health benefits. “Our NHS is an incredible healthcare system and a source of national pride – but it’s also under intense pressure to reduce costs while delivering enhanced services. Energy has a huge role to play in that." Local MSP Stewart Stevenson took the opportunity to meet with VisitScotland’s latest initiative to encourage tourists to explore the country. ‘Archie’ is one of four coo-vans touring Scotland this year and he, along with his team of ‘coo-visors’ will be taking the message to tourists about what attractions the country has to offer. The Scottish Traditional Boat Festival at Portsoy next weekend will be one of the first locations in the North-east to welcome the ‘coo van’. “This is a very interesting initiative and I’ll be keen to find out how successful it is in promoting our area and our visitor attractions to tourists. 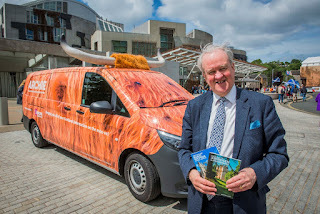 “Part of the thinking here is that instead of waiting for visitors to pick up a leaflet which they may or may not see is available, these mobile units in Highland Coo livery complete with horns will bring the message to where the tourists are. Local SNP MSP Stewart Stevenson is calling on the UK Crown Estate to pass to Crown Estate Scotland the £167m proceeds from the sale of its share in the Fort Kinnaird Retail Park in Edinburgh. Despite repeated requests in the run up to the Scotland Bill in 2016, the UK Government refused to include Fort Kinnaird, the Crown Estate’s most valuable asset in Scotland, in the list of Scottish assets to be managed by Crown Estate Scotland following devolution. Within two years of refusing to devolve the site to Crown Estate Scotland, they have cashed in by selling the site to London-based M&G Estates, a fund which has already started moving operations to Luxembourg because of Brexit. The Crown Estate is currently undertaking a £1.5 billion redevelopment of its assets in Central London, including Regent Street and half of St James’s, while Crown Estate Scotland is having to sell off a tenanted farm in Fochabers in Moray to raise revenue, which may not have been necessary if the UK Government had originally agreed to designate Fort Kinnaird as a Scottish asset. The SNP is demanding that Scotland receives the full £167 million owed. The value of the Fort Kinnaird site represents 60% of the total assets of Crown Estate Scotland. “The UK Government no doubt wants this shady cash grab kept below the radar – but Scotland is simply being conned. “Just two years ago UK Ministers refused Scottish Government requests to devolve this site to the new Crown Estate Scotland, and it’s now clear that there are 167 million reasons why. “Not only that – it’s a bitter pill to swallow that whilst Crown Estate Scotland is looking to sell off assets to raise funds to invest in its portfolio, its UK counterpart is currently undertaking a multi-billion pound redevelopment of its Central London assets – the funds from Fort Kinnaird would have been a significant amount of money for Crown Estate Scotland. “Had this site been devolved, the Scottish Government could have reinvested such a huge windfall in transforming Crown Estate sites across the country, including North-east assets such as the Glenlivet and Fochabers estates, and other sites across Scotland. Banffshire and Buchan Coast MSP Stewart Stevenson has backed a campaign to encourage more people to use refillable bottles and help the environment. It comes after Scottish Water launched the ‘Your Water Your Life’ campaign in Glasgow was launched earlier this week with Scotland’s first ‘pop up water bar’ to show how topping up from the tap is the best way to consume water. The campaign has been supported by organisations including Keep Scotland Beautiful and Zero Waste Scotland. “I commend the efforts of Scottish Water in launching this new campaign. “One of the easiest and simplest ways to help the environment is to carry your own refillable water bottle you can take elsewhere when you are out and about. Banffshire & Buchan Coast MSP Stewart Stevenson has expressed his delight at the announcement today that Fraserburgh Harbour will be the port from which service and maintenance will be carried out on the Moray East Offshore Windfarm. The MSP has called the agreement a significant vote of confidence in the facilities at Fraserburgh Harbour and paid tribute to the work done by the Harbour Commissioners and former Banff & Buchan MP Eilidh Whiteford in bringing the business to the town. The move will result in the creation of around 45 full-time jobs in addition to other income streams for the port. North-east Scotland College will also be involved in the provision of specialist training. The announcement is therefore extremely significant to the port and the local economy. “I’m delighted for the Fraserburgh Harbour Commissioners and for the town that this substantial amount of work has come to the Broch against stiff competition from other northern ports. “Today’s announcement represents a significant vote of confidence in the facilities and management at Fraserburgh Harbour as well as a tremendous boost to the local economy. “I know that the Commissioners have done a power of work to get to this position, supported by our former MP Eilidh Whiteford. Banffshire & Buchan Coast MSP Stewart Stevenson has secured a meeting with the firm behind proposals for a major offshore windfarm development. 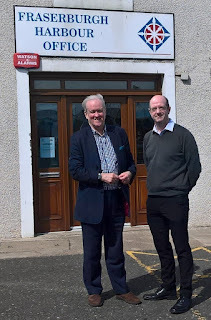 The SNP MSP recently met with residents at a meeting organised by Fordyce, Sandend & District Community Council to hear the views and concerns of villagers and pledged to take these to a meeting with the developer. Mr Stevenson has now secured a meeting and will be holding discussions with representatives from the company next week. “I was pleased to be invited along by the Community Council to have the opportunity to hear the views of local residents on the proposals. “This stretch of the Banffshire coast is very important to the local tourism and leisure industry so I entirely understand there are concerns. Banffshire and Buchan Coast MSP Stewart Stevenson has paid tribute to a constituent who worked tirelessly to improve bus safety. It comes after the date the Seatbelts on School Transport (Scotland) Bill will come into force was announced as August. The Bill was brought forward by Aberdeenshire East MSP Gillian Martin. The legislation will come into effect on August 1 which should mean every child will have access to a seatbelt when travelling to and from school for the start of the 2018/19 term. Mr Stevenson had long been a supporter of constituent Ron Beaty who called for better school transport safety. For years, the Gardenstown resident worked hard to campaign on school bus safety after his granddaughter was knocked over by a vehicle after getting off a school bus. Mr Beaty, who sadly passed away before the Bill came into force, had been a staunch advocate of safety on school transport following the incident. “I am delighted the Bill to ensure seatbelts are on all dedicated home to school transport will come into force from August. “The Scottish Government is committed to achieving safer road travel which is why we’re urging pupils to wear a seatbelt where one is provided on school transport.